هيروشى ياموتشى (يابانى:山内 溥) (انجليزى:Hiroshi Yamauchi), اتولد يوم 7 نوڤمبر 1927, ومات يوم 19 سپتمبر 2013, ده تالت ريس لشركه نينتندو, وعاش فتره طويله بتاريخها لمده 53 سنه, وكان الفضل اللى حول شركته من لعب ورق للعيال والكبار الى ڤيديو لعب, ومات هيروشى بسبب التهاب رئوى. ↑ Femmel, Kevin (August 1, 2012). "Michiko Inaba, wife of former Nintendo President passes away at 82". Gimme Gimme Games. Retrieved January 8, 2013. ↑ Thiel, Art (August 14, 2012). "Wife of Mariners owner Yamauchi dies". Sportspress Northwest. Retrieved January 8, 2013. ↑ "Hiroshi Yamauchi at Forbes.com". March 2012. Retrieved October 21, 2012. ↑ Nobuhiro Kubo; Edmund Klamann; Robert Birsel (19 September 2013). "Nintendo video game pioneer Hiroshi Yamauchi dies at 85". Reuters. Retrieved 21 September 2013. Yamauchi was listed by Forbes magazine as Japan’s richest man just five years ago, when Nintendo was flying high with the launch of the Wii with its motion-sensing controller, although the company’s fortunes have since faded as smartphones displace consoles among gamers. His net worth at that time was estimated at $7.8 billion. ↑ "Status of Shares". 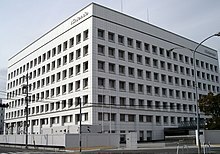 Nintendo Co., Ltd. March 31, 2013. Retrieved on September 19, 2013.